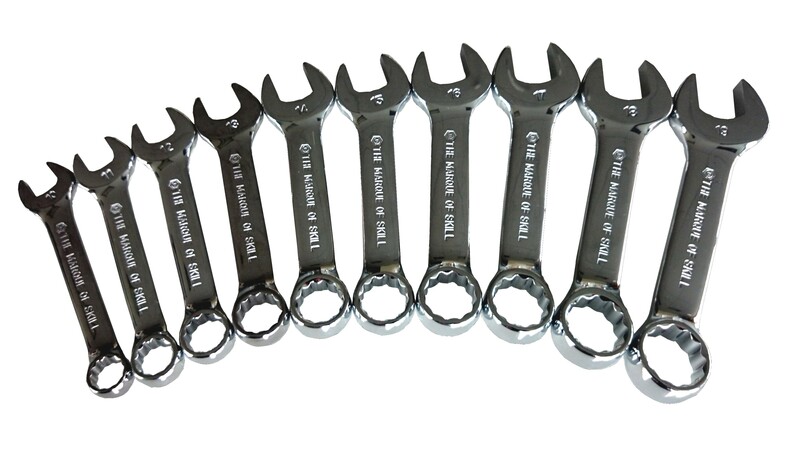 This Britool Hallmark extra-short combination wrench series with bi-hexagon (12 point) ring reduces fastener wear, and the stubby design for access in confined areas. Features a standard open jaw one end and a bi-hexagon (12 point) ring the other which ensures positive grip on even the most stubborn and worn fasteners. 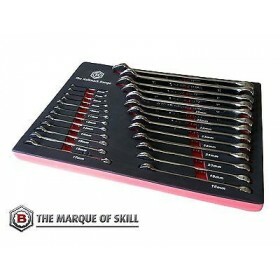 Manufactured from Chrome Vanadium steel and heat treated and hardened for durability. The spanner has a shinny mirror finish.